HONG KONG, Jan. 28, 2019 /PRNewswire/ -- At Asia's Fashion Jewellery & Accessories Fair – March, some of the region's major design houses and accessories experts will present anything and everything cool, shiny and colourful that has to do with Fall/Winter 2019-2020 neckwear to international buyers. If there is one piece of accessory that could elevate a look from basic to unique that would be the necklace. Colourful, delicate, layered or chunky, neckpieces can amplify a style instantly, add a touch of elegance to everyday wear, and help take an outfit from day to night in a flash. Of course, one cannot have enough bling. Necklaces, however, play an exceptional role among accessories since they help frame the face, accentuate a wearer's best features and often are the first to make a stunning impression because of their relative size. "Necklaces add a touch of sunshine to fall and winter wear. We expect to see layered chain necklaces in various lengths, chokers, oversized chains, delicate neckpieces in velvet, metal, cord, leather and mixed media piled on top of turtleneck sweaters and peeking under coats and jackets when the weather turns chilly," says Celine Lau, Director for Jewellery Fairs at UBM Asia, an Informa plc company. The B2B fair is scheduled for February 27 to March 2 in Halls 3 and 6 of the AsiaWorld-Expo (AWE). About 300 exhibitors and 6,000-plus buyers from more than 90 countries and regions are anticipated to attend the show. India, Korea, Mainland China, the Philippines and the Taiwan region will have their pavilions, offering buyers the opportunity to meet with competitive accessories and fashion jewellery suppliers at one go. Buyers cannot also afford to miss the Designer Atelier, Fashion Accessories Zone and Stainless Steel Jewellery Pavilion for cutting-edge, urban-inspired and classic designs. GZ Keep Long Co Ltd is channelling a youthful vibe into its collection of long beaded neckpieces in pastel and rich hues. 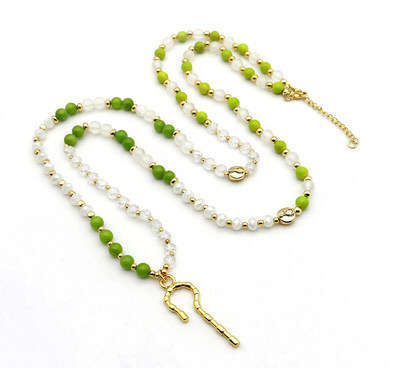 Some of the manufacturer's eye-catching creations are station necklaces embellished with glass beads in peridot green, soft blue, pink and red, and accented with metal alloy beads. Blue Planet Inc is out to make a statement with its handcrafted necklaces that can take any outfit from typical to striking. 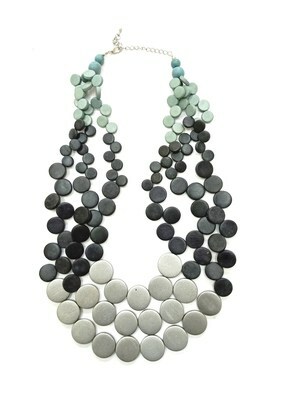 One of the manufacturer's inspiring neck adornments is a bib-like accessory made of wooden discs in silver, black, grey and aquamarine tones. India-based SK4 Creations will display its immense skills and mastery of hand-beading work and detailing through bold neck adornments. 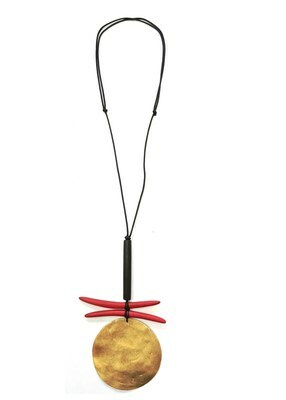 Yiwu Yachan Accessory Co Ltd is demonstrating its design and manufacturing strengths through its sleek pendant necklaces inspired by the crescent moon, sun, birds and daggers. Sumsoar Group is giving professional buyers the opportunity to meet their customers' style preferences through product personalisation. "For necklaces, my idea is to showcase Do-It-Yourself charm necklaces," says company executive Winnie Xu. The edgy styling of Shenzhen Karma Metal Jewelry Manufacturer's men's and unisex necklaces is also guaranteed to win fans at 3FJ. Asia's Fashion Jewellery & Accessories Fair – March (3FJ) is organised by UBM, which in June 2018 combined with Informa PLC to become a leading B2B information services group and the largest B2B Events organiser in the world. Please visit www.ubm.com/asia for more information about our presence in Asia.